At the young age of 25, Joy has already been through a fitness journey that most people would never experience in a lifetime. This mother has already lost an admirable 40+ lbs since college, and it's all thanks to hard work and dedication. "I was 145 lbs and in high school in 2007, then 189 lbs in 2009 when I was in college," said Joy. "It's 2015, and the fit and new me is 140 lbs. I'll never give up." Joy exudes confidence: it's palpable in her smile. As a member of PumpUp since January 2014, Joy constantly turns to the community for support as she tracks her progress. "I'm not fully there yet, but I'm slowly getting there," she admitted. "I love my PumpUp family, the support is AWESOME!" There is no one secret to Joy's success. Much of her progress is attributable to a consistent workout schedule. "I started off with cardio then moved on to weightlifting," she elaborated. "Best decision ever. I feel stronger as the days go by." You'll hardly find a moment without Joy's signature smile. She demonstrates that anything can fall into place as long as you have a positive attitude. As Joy continues along her fitness journey with the PumpUp community, she hopes to gain more strength and learn to be at peace with her body. "I hope to be able to meet my PumpUp family and be able to train together with them," responded Joy, when asked about what items were on her fitness "bucket list". We hope that we can make her dream happen too! Inspired by Joy's story? 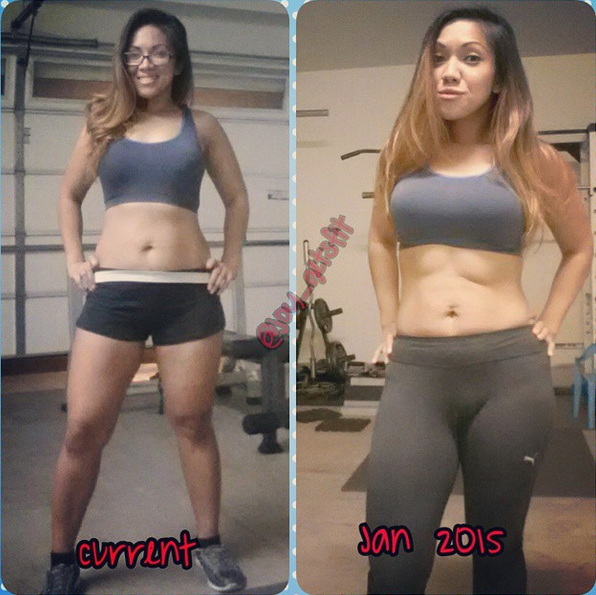 Support her along her journey on the PumpUp Community @fitforjoy! Have an inspiring transformation story to share? Tag anything that you're proud of with #transformationtuesday! We highly encourage you to use our new PumpUp Photo Editor to showcase your inspiring before and after photos. Non-scale victories are always welcome!